A lovely quality wooden washstand with a white ceramic basin. Made in a real Iroko wood this designer wash stand is a beautiful style statement within and high quality bathroom design. 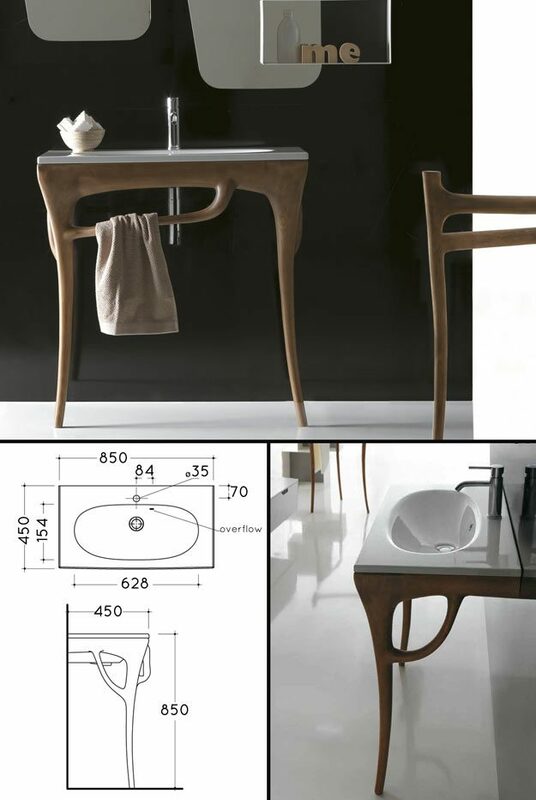 * Contemporary slim wash basin.